Just a few years ago, Apple and Google were the darling couple of the technology industry, with Apple igniting a revolution in smartphone design and Google showing the power of its Web-based services transitioned to the mobile realm. However, with Apple’s forthcoming iOS 6 and Mac OS X 10.8 Mountain Lion, Apple is continuing to erode Google’s presence in its desktop and (particularly) mobile operating systems, rolling out its own cloud services, search, and now mapping technologies that Apple wants to not only replace Google’s technology, but outshine it too. How is Apple cutting Google out of its ecosystem, where did the rancor come from, and who has the most to lose: Apple, for not including Google’s widely used and (arguably) best-in-class services, or Google, for being cut out of one of the most visible (and most lucrative) platforms in the industry? Apple’s public assault on Google began in earnest in iOS 5 with two key technologies. The first is the very visible Siri voice-activated personal assistant that Apple unveiled with the iPhone 4S — for many people it’s the sole feature that distinguishes the iPhone 4S from its predecessors. However, the second was that Apple rolled its own geocoder into iOS 5. Briefly, a geocoder is a service that translates the location data supplied by GPS (and, sometimes, augmented by Wi-Fi or cell tower data) to a usable street address. Neither technology totally slammed the door for Google on iOS, but — like the sword of Damocles — they should have made Google sweat. Siri is a threat to Google because it inserts itself between iPhone users and their mobile searches — and, if it’s effective enough, it can become the preferred method for conducting searches with an iOS device. Siri doesn’t just use speech recognition technology to understand what people say and translate it into a Web search — whether powered by Google, Bing, or another search engine. When possible, Siri tries to answer users queries directly. Of course, behind the scenes, Siri is tapping into semantic search technologies powered by the likes of Wolfram Alpha (for facts and figures) and Yelp (for location-based information). The bottom line: Any question Siri can answer successfully without resorting to a Web search is a search query that Google (or another search engine) does not receive. With iOS 6, Apple is bringing Siri to the iPad 2 — which means even more searches diverted from Google. 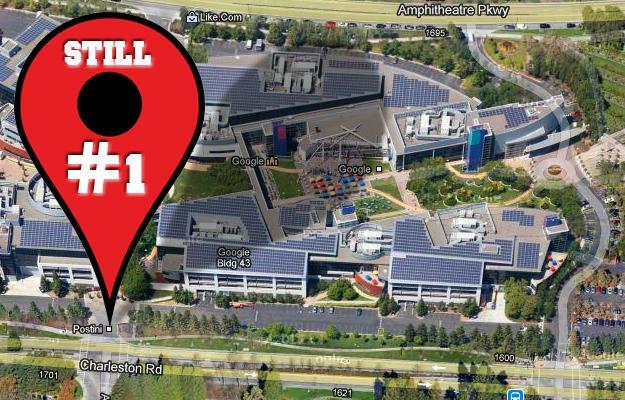 Prior to iOS 5, Apple had been relying on Google’s geocoding service to turn a location into a street address. 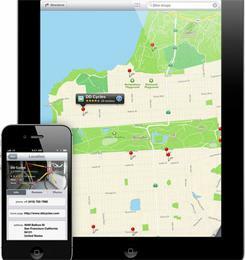 With iOS 5 Apple quietly switched to its own geocoder, and introduced an API so iOS application developers could use location services in their own apps — again, without having to go through Google. As Apple (and iOS developers) increasingly rely on that API, that means Apple mobile users are passing less and less location data to Google. With iOS 6, Apple is taking the next step by introducing its own Maps service. Apple’s Maps will replace Google Maps on the home screen of iOS devices. Users will, of course, still be able to download a separate Google Maps app and tie that in to their Google accounts all they like — but Google Maps won’t be there by default. Some users will likely still prefer Google Maps. For instance, Apple’s Maps will only offer turn-by-turn directions on the iPhone 4S and the iPad 2 — anyone buying or upgrading to iOS 6 on an older device won’t get that feature, or the very-cool flyover feature that supplies aerial views of locations. (And the original iPad? It won’t be getting iOS 6 at all.) But soon after iOS 6 ships, Google Maps will start losing its plum position as the default supplier of mapping and direction information for iOS users. 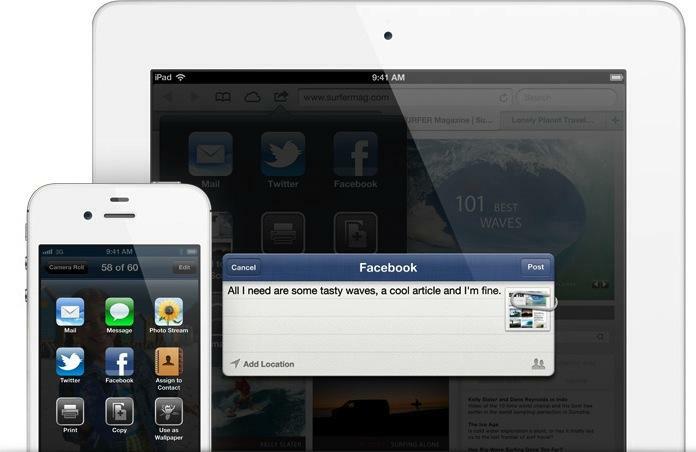 Another potentially major feature coming to iOS 6 is Facebook integration, enabling users to share and update photos, locations, events, and contact info via Facebook without having to jump out to a separate Facebook application — much like iOS 5’s integration with Twitter. Apple has instead engineered its social network integration to be modular, with an eye towards expanding the functionality to new services when appropriate. (An example would be built-in support in China for Sina Weibo, Youku, and Tudou.) The iOS social networking interface, functionality, and experience are all-Apple: They just selectively tie into what Facebook and Twitter offer with virtually no branding or screen real estate that’s out of Apple’s control. Apple no doubt had tough negotiations with Facebook over the nature of iOS integration — especially since Apple has historically guarded its users’ privacy, while Facebook notoriously tracks (and wantonly shares) anything and everything. It’s not just Google Maps, Google’s Web search, and Google+ that are being snubbed by Apple: Apple is also going its own way with email, synchronization, and cloud-based services via iCloud. To a degree, this is historical momentum from Apple’s long-standing online services and iPod empire. Apple established iTunes as the top online destination for music, then worked to extend that to television and movies. (iTunes remains the top music retailer, although the video business has never been a market dominator.) Apple leveraged iTunes’ omnipresence to launch its own App Store for the iPhone, and the whole thing helped lay the infrastructure for what we’d today call cloud-based services. After all, to use iTunes, folks had to have an account (most likely with associated payment information) and Apple has provided email, hosting, and online storage services to its customers longer than most companies. Its iTools services (a forerunner to .Mac, then MobileMe) launched all the way back in January 2000 — by way of comparison, Google had just 40 employees in November 1999. With iCloud — the latest generation of Apple’s online offerings — Apple again made a fundamental decision not to go with Google, but to invest significant time and money into developing its own services. For Apple, doing iCloud itself is about controlling its own destiny and not letting a third party control a fundamental part of its platform. (That’s actually why Apple initially banned cross-platform development tools for iPhone apps.) Almost any other hardware company would have considered implementing something like iCloud by partnering with another company (like Google) to handle the back end. Not Apple. And given Apple’s recent rancor with Google, it was probably never even considered. How does being cut out of iOS hurt Google? Being dumped from a premiere spot on the home screen of iOS devices won’t be a death-kiss for Google on iOS; rather, it represents a slow erosion of Google’s role in what Apple sees as fundamental services for its devices — a role that’s likely to vanish altogether, in time. That amounts to an assault on Google’s bottom line. At some point, Google is going to stop collecting fees from Apple for its use of Google Maps, but that’s not where it will hurt. Most of Google’s money comes from display and mobile advertising, which will feel the burn as Apple weens users off its services. Opus Research recently estimated advertisers will spend $2.5 billion on mobile advertisements during 2012, and about a quarter of those advertisements are based on mapping or location information. (Emarketer puts its at $2.6 billion.) Advertisers love location-targeted ads — after all, there’s not much point for a bike shop in Seattle to promote itself to a car driver in Miami — but a pedestrian two blocks away might be a different story. When iOS 6.0 hits the streets, the number of map- and location-based advertisements Google can serve to iOS users is going to start declining. It won’t vanish entirely, because some people won’t upgrade to iOS 6.0, and others will grab the separate Google Maps app and keep doing what they’ve always done. Plus, Apple is going to continue to sell more iOS devices; even if Google’s slice of the pie is shrinking, the pie itself is still getting larger. Despite Android being the top-selling mobile platform on the planet, Google seems to earn the majority of its mobile advertising revenue from iOS devices. Some analyses make iOS devices worth four times as much to Google as Android-based devices. So leaving aside platforms like Windows Phone, BlackBerry, and Symbian, back-of-the-envelope math indicates the mobile advertising market will probably be worth something in the range of $800 million to Google during 2012… but only about $160 million of that will be generated from Android devices. Losing the iOS Maps app won’t turn that revenue off overnight — after all, most estimates have Google commanding about 90 percent of the mobile search market — but Google will be gathering less location-based information about iOS users — and less search information too, thanks to Siri. That, in turn, will gradually impact Google’s ability to advertise to iOS users effectively. After all, the less it knows about where people are and what they search for, the less it can target ads to them. And that means Google can’t command a premium from advertisers to place those ads. The conflict between Google and Apple highlights fundamental differences between the companies. Google’s long-term plan is based on the ubiquity of its platforms and services. It wants Google search (and Google Maps, and YouTube, and everything else) to be everywhere, and its strategy with Android is based on quantity: Put as many devices into as many people’s hands as possible. Google believes that, as it collects information about those millions and millions of users using its platforms and services, it can make its money selling targeted advertising to those users. Apple’s primary income is from selling hardware. Yes, Apple is in the mobile ad business to — to the tune of about $90 million in revenue during 2011. But by way of comparison, Apple had over $125 billion (yes, billion) in sales during the same calendar year. Apple is not looking at its own Maps for iOS as a way to generate mobile advertising revenue. The amount of money it will earn from any mobile-related advertising associated with Maps will be insignificant compared to revenues from sales of iOS devices — and, likely, insignificant even in comparison to the amount of money Apple has invested in rolling its own mapping service. For Apple, having it’s own mapping service is about controlling its own destiny. And that means kicking Google out of the heart of iOS.